The eldest son of Anders Stockenström (1757-1811), a Cape landdrost of Swedish ancestry, he received an elementary education in Cape Town and in 1808 took up an appointment as clerk in his father’s office at Graaff-Reinet. On route he met up with Lt-Col R Collins and accompanied him as a Dutch interpreter on a journey that took them to the Orange River and into the Xhosa country. Inclined to pursue a military career, Andries accompanied the expedition sent in 1810 to inform Ndlambe, the Rharhabe paramount chief, of the government’s aim to expel him from the Zuurveld. In 1811 he was commissioned as an ensign in the Cape Regiment, took part in the 4th Cape Frontier War of 1811-12, and in the campaign against Ndlambe. When his father Anders Stockenström was killed, Andries was his aide-de-camp. On hearing of the incident while at Bruintjieshoogte, Andries and 18 mounted burghers rode to Doringnek and surprised a number of the killers, slaying 13 and recovering eight horses. After the Doringnek incident, Andries was appointed to his father’s position in command of the burgher forces. Following Ndlambe’s expulsion, he assisted Colonel John Graham in the selection of fortifications for the protection of the Fish River frontier. Governor Sir John Cradock then appointed him to the new position of assistant landdrost of Graaff-Reinet, stationed initially at Van Stadensdam on the (upper) Fish River, and afterwards at the newly founded town of Cradock. As his duties were mostly of a military nature, Andries retained his commission and retired on full pay. In 1813 he led a campaign across the Fish river against Xhosa tribes that had violated the new frontier, and in May 1814 he became a lieutenant in the Cape Regiment. In 1818 Stockenström again campaigned against Ndlambe and the amaGcaleka, as an ally of Ngqika. The Graaff-Reinet burghers, under his command, defended the left flank at the Kat River. In 1819 he took to the field against Ndlambe who had invaded the colony and attacked Grahamstown. The Graaff-Reinet burghers’ mission was to meet any possible threat from the north. Col T Willshire advanced against the Gcaleka with the Cape, Stellenbosch and Swellendam commandos, and the Graaff-Reinet commando was ordered to clear insurgents from the dense bush in the Fish River area – previously regarded as impenetrable. Stockenström was promoted to captain in the Cape Regiment after this campaign. From about this period his relationship with Governor Lord Charles Somerset declined, in part because of his “outspoken criticism of Somerset’s frontier policy or his refusal to allow the settlement of the 1820 Settlers in his district and his opposition to their location on the frontier”, Duminy suggests, and in part because of a quarrel with the Governor’s son, Col. Henry Somerset. In addition, Stockenström was friendly with Acting Governor Sir Rufane Donkin, and since Grahamstown editor Robert Godlonton was a staunch supporter of Col. Somerset, this “meant that the remainder of his public career was characterized by personal and political feuds”. His military career ended in July 1820 when he was transferred to the Corsican Rangers and placed on half-pay. The Graaff-Reinet district’s involvement with the frontier was also reduced by the creation in 1821 of the separate district of Albany (out of Uitenhage) and in 1826 of the district of Somerset East (out of Graaff-Reinet). However Stockenström remained landdrost until the reform of 1828 which abolished his office. In 1827 the Council of Advice was enlarged to include two unofficial members, and in June that year Stockenström was appointed to fill one of these positions. Early in 1829 Major-General Richard Bourke, who had arrived in the colony in 1826 as Lieutenant-Governor of the Eastern Province, but instead became Acting Governor when Lord Charles Somerset departed, appointed Stockenström to the new post of Commissioner-General for the Eastern Province. Despite these problems Stockenström tried to reach a frontier settlement, and concentrated on establishing a dense population in the Ceded Territory between the Fish and Keiskamma rivers. The Xhosa chief Maqoma had earlier in 1829 become regent of the amaRharhabe following the death of his father, Ngqika, and the succession of his infant half-brother Sandile. Stockenström expelled him from the strategic Kat River valley and settled it with Khoikhoi. He promulgated new regulations dealing with the recovery of stolen stock. Provided the civil authorities gave permission, armed parties were permitted to cross the frontier and recover stolen stock by force, if necessary. In 1830 Stockenström allowed a punitive expedition against Tyali, being convinced that this Xhosa chief was guilty of brazen theft. However, the expedition resulted in the shooting of another chief, Zeko, which caused considerable controversy. Stockenström at first commended Field Commandant Erasmus for his conduct, but later investigation showed that reports of Zeko being armed and removing livestock were false. The outcome of this investigation was suspicion on Stockenström's part of Col Somerset’s motives in demanding further punitive expeditions. The issue became critical in June 1831 when Somerset was authorised by Cape Town to launch an expedition despite Stockenström's objections. Stockenström became increasingly critical of the frontier policy implemented, both in his reports from Graaff-Reinet and in the proceedings of the Council of Advice. After Lord Stanley, Secretary for the Colonies, had requested his resignation from the council, Stockenström left the colony in 1833 and, while in London, resigned as Commissioner-General. On hearing of the outbreak of the Sixth Frontier War in December 1834, he decided to settle in Sweden. In August 1835 he gave evidence to the House of Commons select committee on aborigines. His opinions, while critical of the liberals, impressed Lord Glenelg, the new Secretary for the Colonies, who appointed him Lieutenant-Governor of the Eastern Province. Stockenström, however, did not find his task on the frontier any easier, since he lacked authority over the military, his subordinates were still free to correspond with Cape Town, and he was no more independent of the Governor than before. Things had also been changed in his absence. Stockenström's plans for populating the Ceded Territory had been abandoned. Governor Sir Benjamin d’Urban had nonetheless settled the Mfengu in the territory and opened it up for permanent white settlement. His tenure as Lieutenant-Governor was marred by virulent and libellous campaigns conducted against him by Col Somerset, Godlonton and a variety of other interested parties, which served to annul all his positive actions in bringing peace to the frontier. In February 1838 Stockenström started a libel action against Captain Duncan Campbell, civil commissioner for Albany, who claimed that Stockenström had murdered a Xhosa in 1813. The Supreme Court, however, found the evidence against Campbell insufficient, and Stockenström requested the new Governor, Sir George Napier, to launch a full inquiry. Stockenström was exonerated by the court of inquiry in June 1838, but nonetheless felt his position hopeless, and travelled to Britain to consult Glenelg. Glenelg refused to accept Stockenström's resignation, but his successor, Lord Normanby, dismissed Stockenström in August 1839. 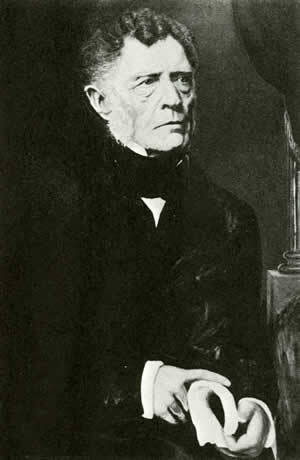 Stockenström was created baronet a decade later in 1849, and awarded a pension of £700 a year. He returned to the Cape in May 1840 and divided his time between his farm Klipkraal (in the Swaershoek Valley near Somerset East), Uitenhage and Cape Town. In 1845 he settled on his farm Maasström, at the foot of the Kaga Mountains, where he remained until April 1846 when the Seventh Frontier War broke out. When the Seventh Frontier War erupted, the burghers objected to serving under a military commander and Governor Sir Peregrine Maitland promoted Stockenström to colonel so as to place him in command of the levies. The burgher force first cleared the south-western part of the Eastern Province, up to the upper Fish River, and then advanced to Fort Beaufort, where it was intended that he would invade the Xhosa country. However, the military diverted him to the Amatola Mountains and then, having invaded the Xhosa country east of the Kei without him, attempted to discredit him by repudiating the agreement Andries had made with the Rharhabe parmount, Sarhili. Andries, his health ruined by this expedition (he remained in poor health the rest of his life), called on the British government to institute an inquiry into the war, maintaining that it had been prolonged needlessly. But the new Governor, Sir Harry Smith, ostentatiously denounced the Stockenström treaty system as the cause of the war. In a meeting with the Xhosa chiefs the Governor famously tore up a piece of paper and announced: “No more treaties”. Sir Andries publicly warned that Smith’s policies would precipitate a crisis but Earl Grey, the Secretary for the Colonies, declined to take action. Sir Andries’s response to what her perceived as the incompetence of British imperial rule, was to back calls for representative government. When Smith called an election in 1850 (the only one of its kind) to get around the difficulty of finding suitable people to serve on the legislative council, he received the most votes cast for any candidate from the Eastern Province. However, the official members set out to discredit their claim to represent popular opinion, and Sir Andries and the other popularly elected members resigned in September. In 1851 he and John Fairbairn travelled to Britain in the hope of persuading Britain to introduce representative government in the Cape. But as a result of his call for an inquiry into Governor Smith’s policies, Sir Andries was in turn made the scapegoat for their failure, and was additionally blamed for the Kat River rebellion during the Eighth Frontier War of 1850. During his absence, his opponents destroyed Maasström in 1851. Instead of a commission of inquiry, a select committee was appointed. Duminy writes that it “neither recommended an inquiry nor prepared a report”. Representative government was nonetheless instituted in 1853, and Sir Andries was approached to run for election to Parliament for the Eastern Divisions. To meet the expenses of the campaign and of the destruction of his property, he arranged for the subdivision of a part of Maasström (one-third of the 4 985 morgen) as a township, which was named Bedford, after Sir Andries’s friend, the 8th Duke of Bedford. Following a heated electoral campaign, Sir Andries defeated his old enemy, Godlonton – despite renewed publication of all the old accusations against him in the Graham’s Town Journal – by almost 2 000 votes. As a member of the legislative council, Sir Andries piloted the passage of the Divisional Councils Act, which in his view restored a link between the government and the, governed which had been broken in 1828 (with the abolition of landdrosts). He also supported the passing of the Burgher Force Bill, which placed the commandos on an equal footing with the military. In other respects, he was frustrated. The Khoikhoi settlement on the Kat River was broken up, and little was done to rein in frontier warmongers and land speculators. Failing health saw him resign his seat in March 1856, and he left the colony the following month. He lived for a while in Nice, Naples and England, returned to the Cape in 1860, and again went to London in 1862, where he eventually died of the bronchitis that had plagued him for years. He was buried in Kensal Green Cemetery, London.